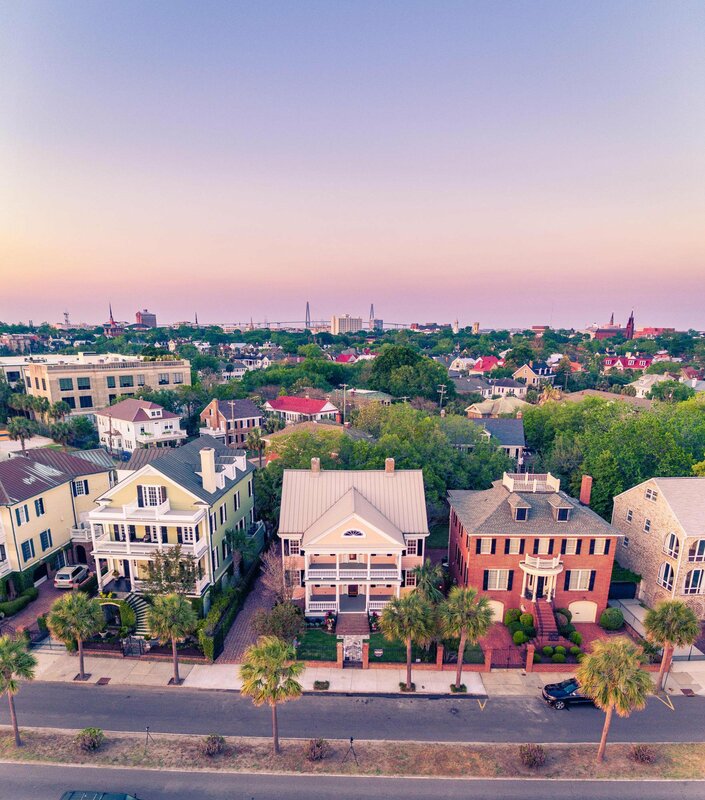 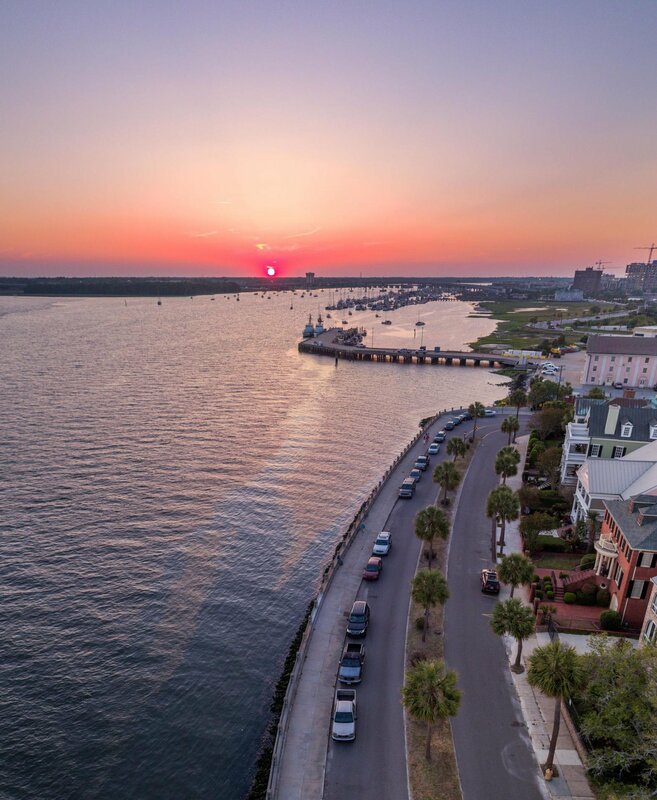 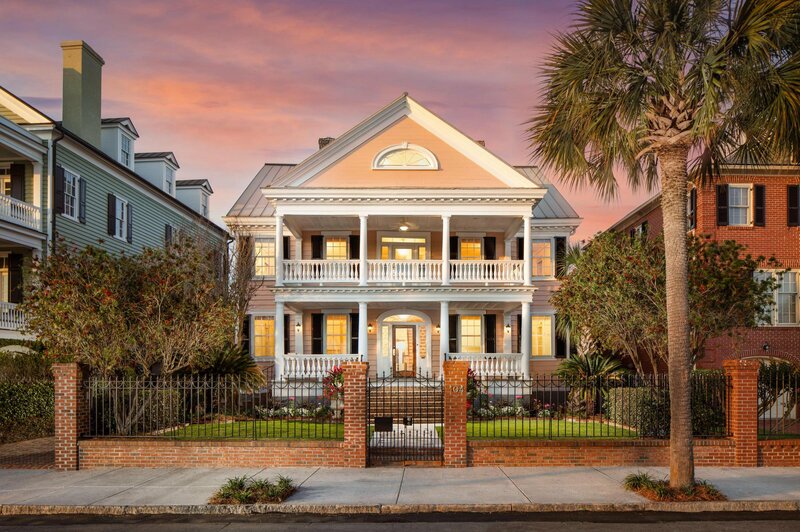 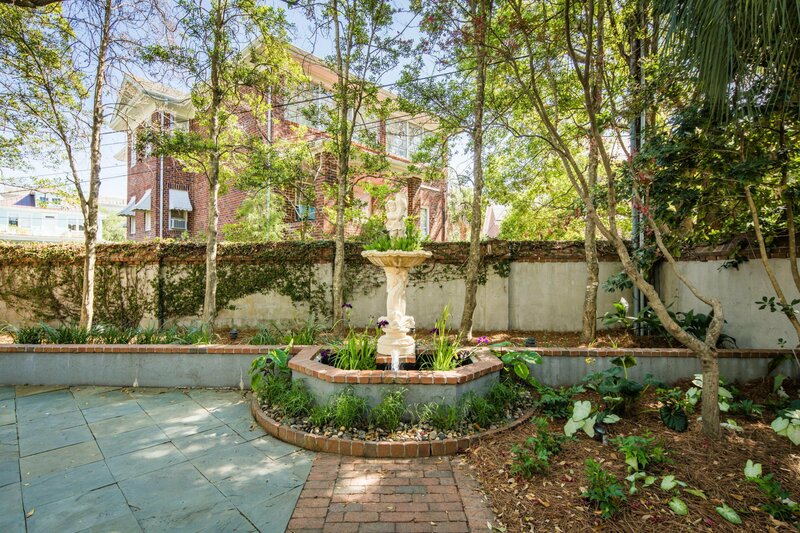 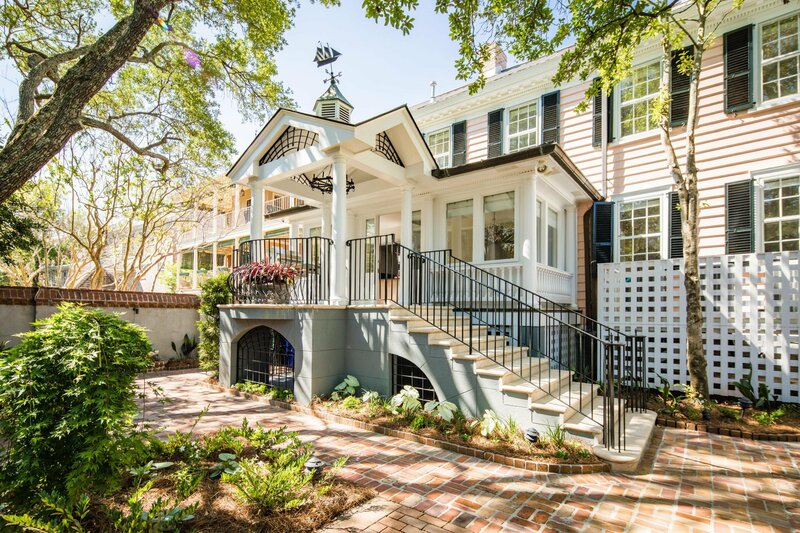 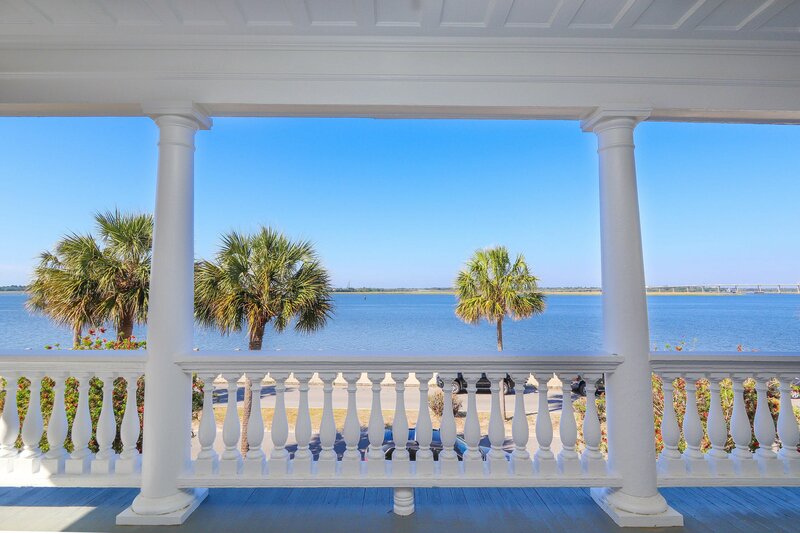 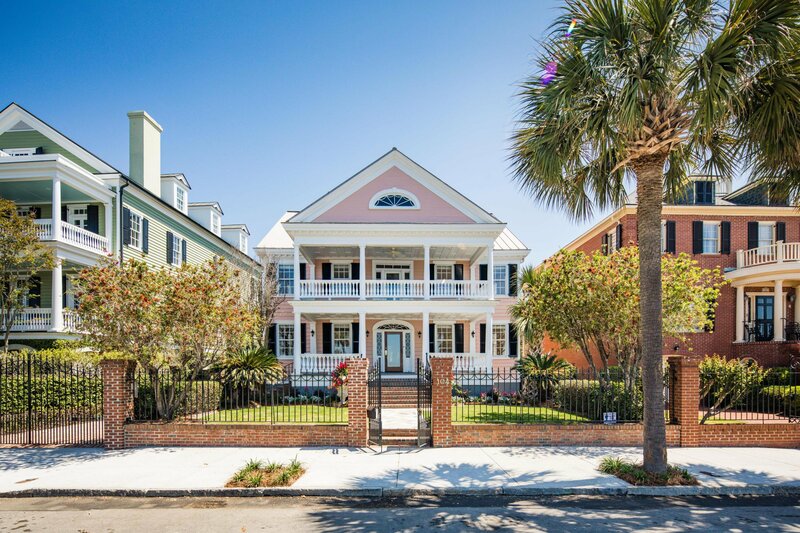 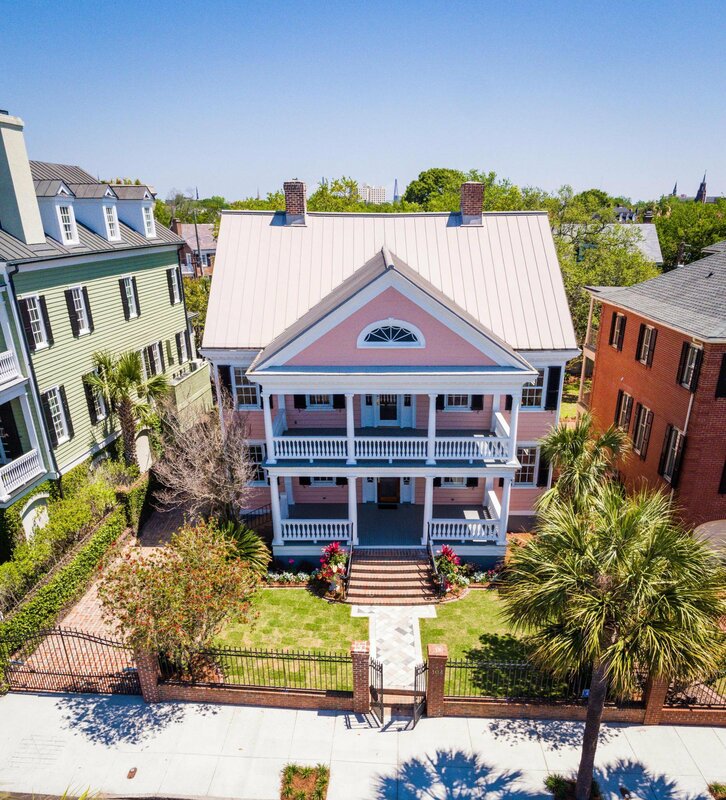 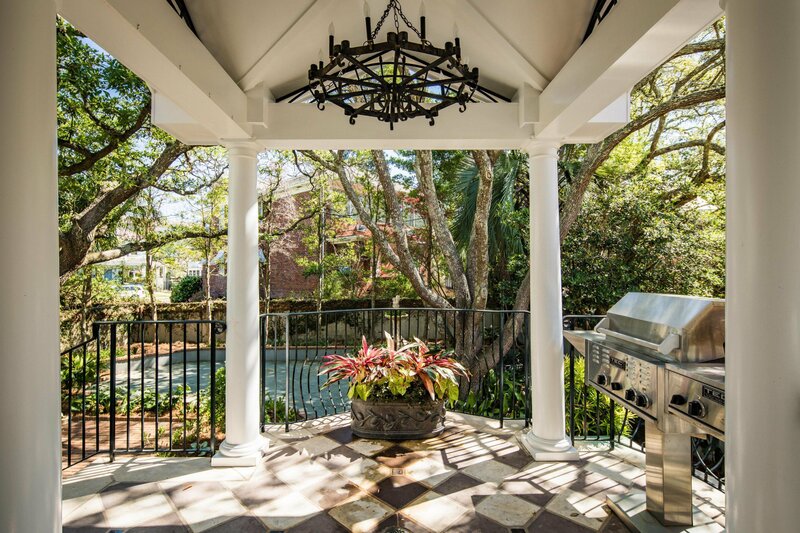 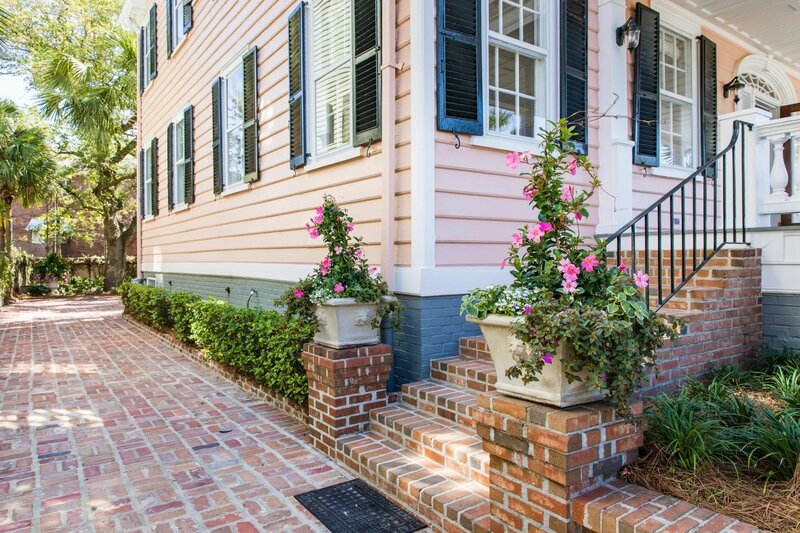 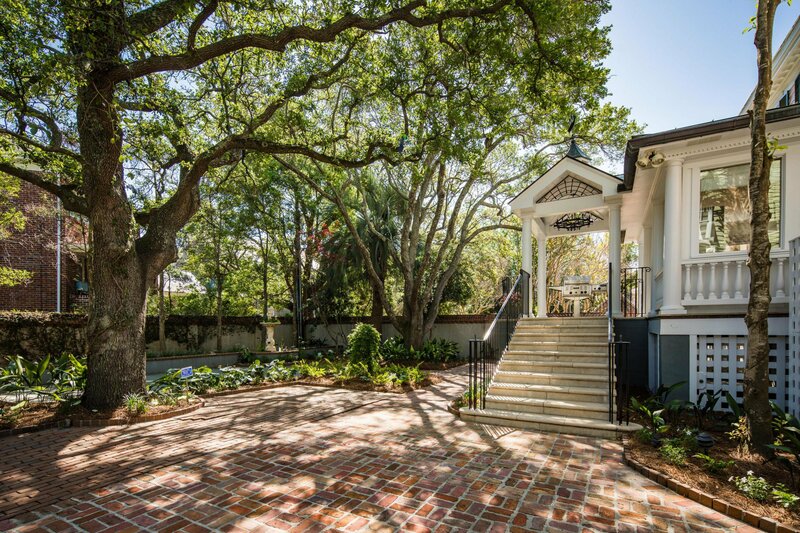 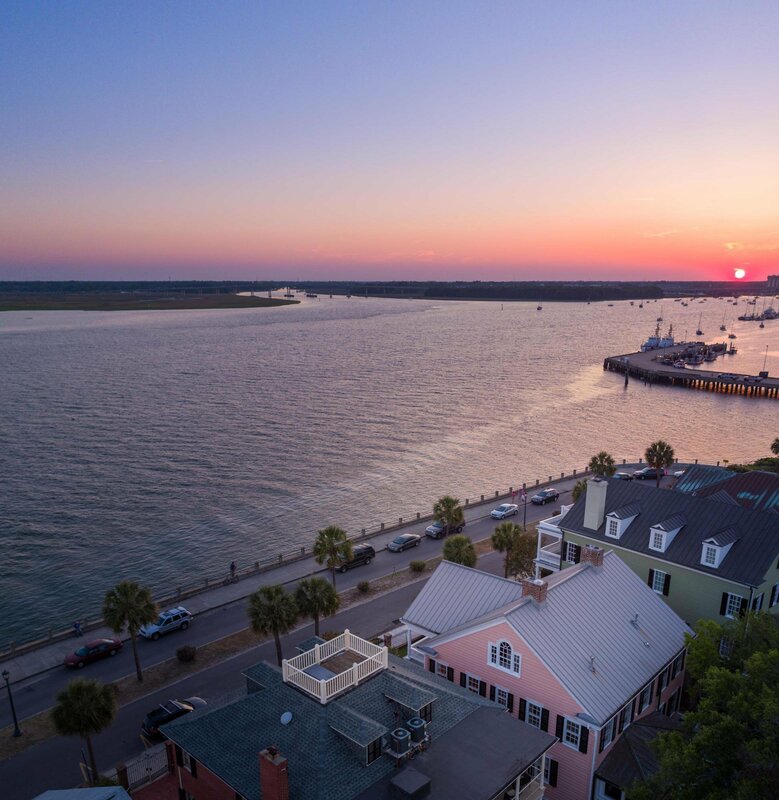 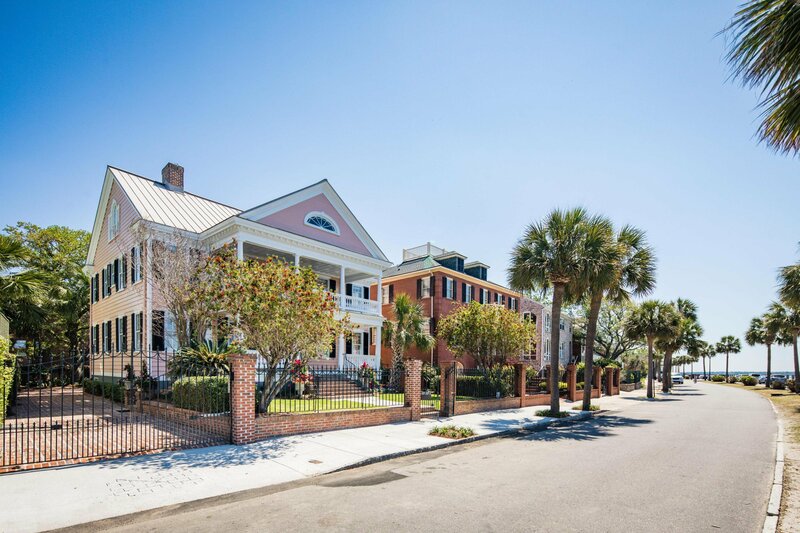 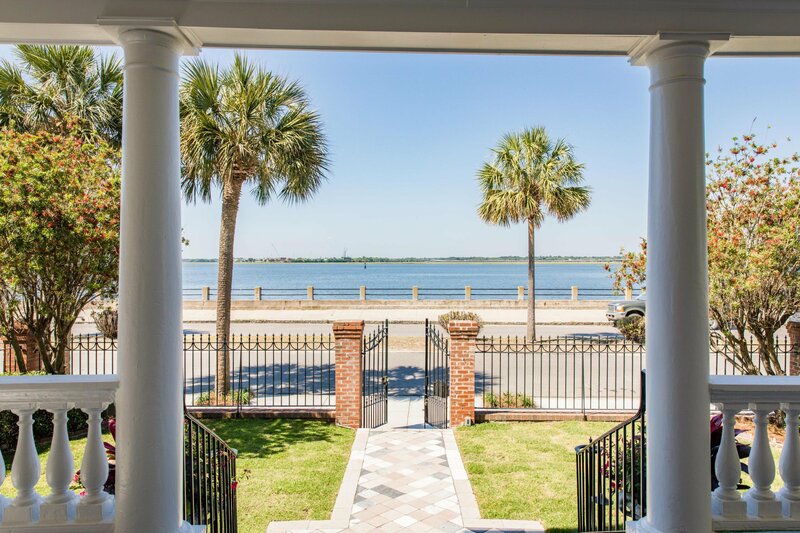 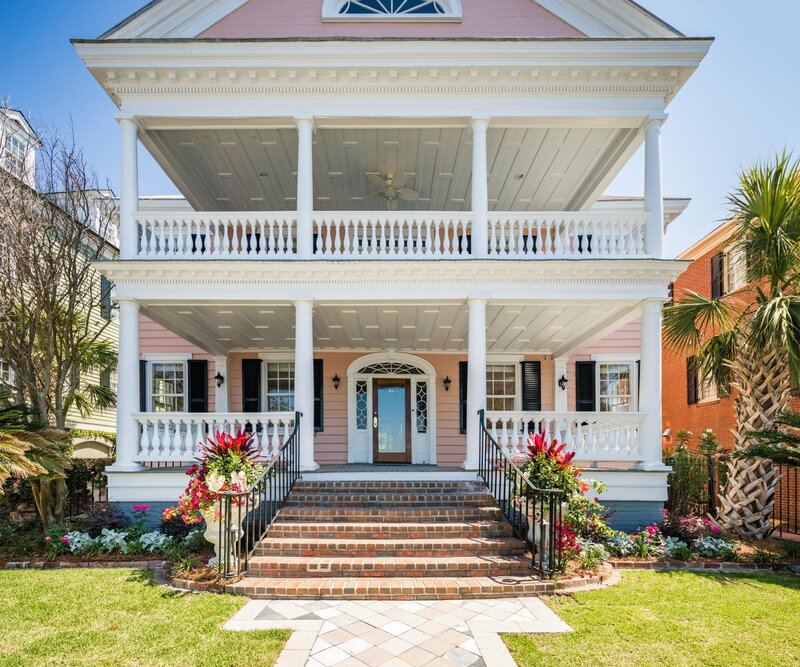 REDUCED PRICE AND BEST WATERFRONT VALUE IN CHARLESTON! 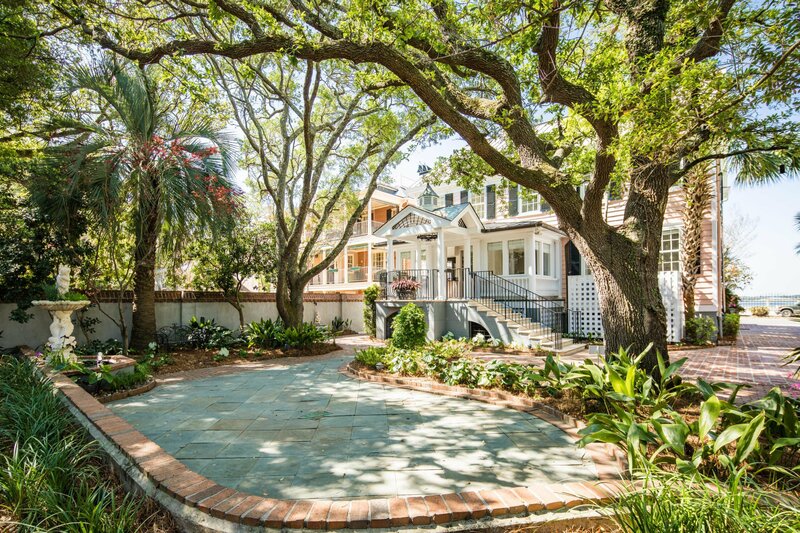 Stately 1924 replica of the Twickenham Plantation house, located on Charleston's iconic Murray Boulevard. 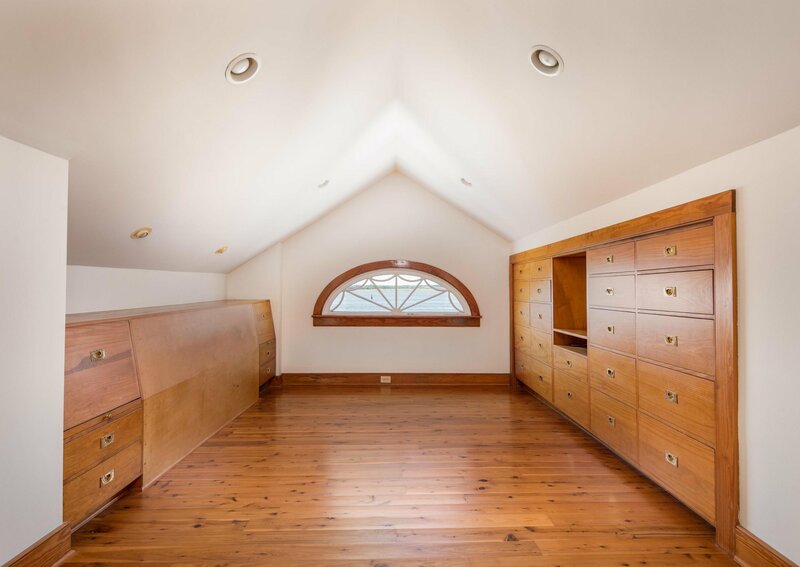 House is built above flood elevation and has had no water inside during any storm! 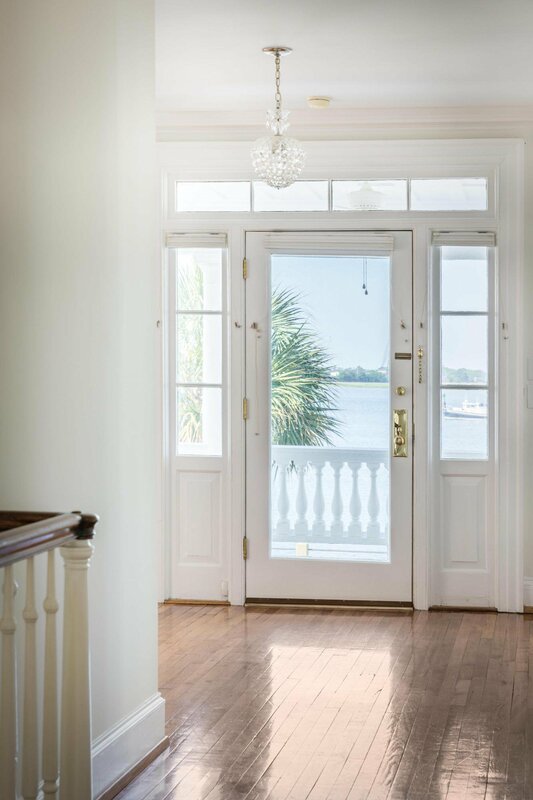 Generous deep porches welcome you into this light-filled home, with large windows providing direct views of the water and passing boats. 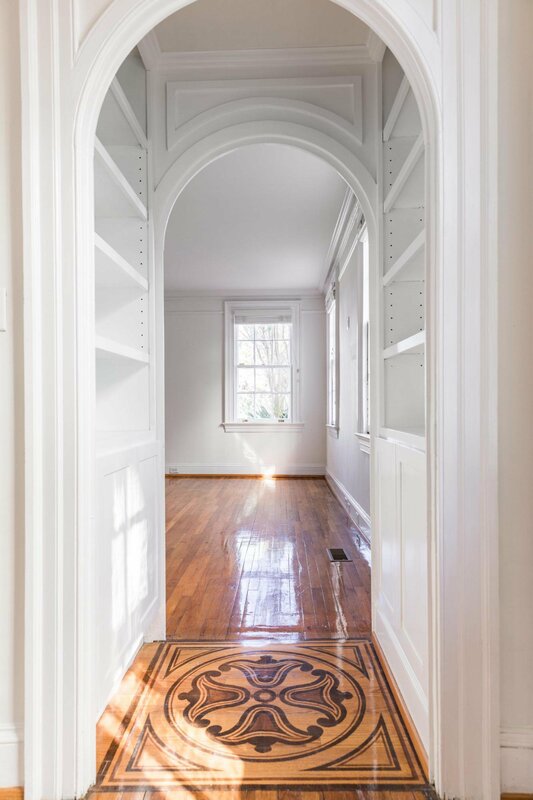 Built in the Federal style, this double house has large front rooms connected across the entrance hall, with kitchen, sunroom, and den in the rear. 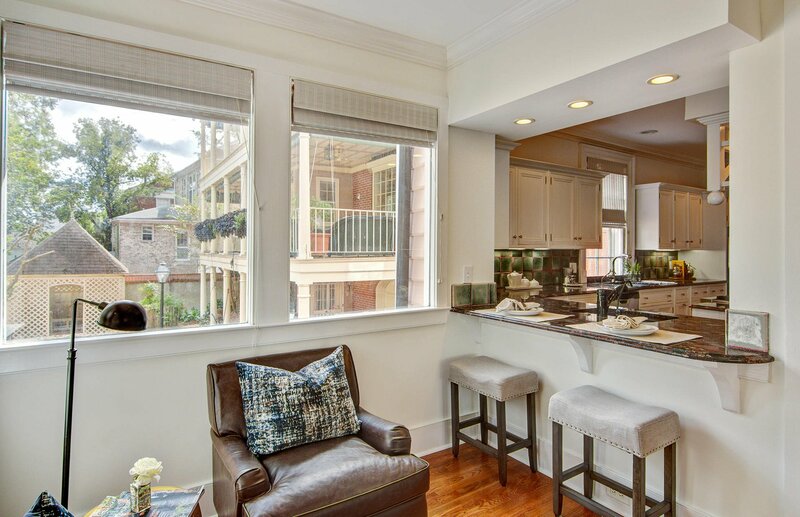 Ideally suited for entertaining and family life. 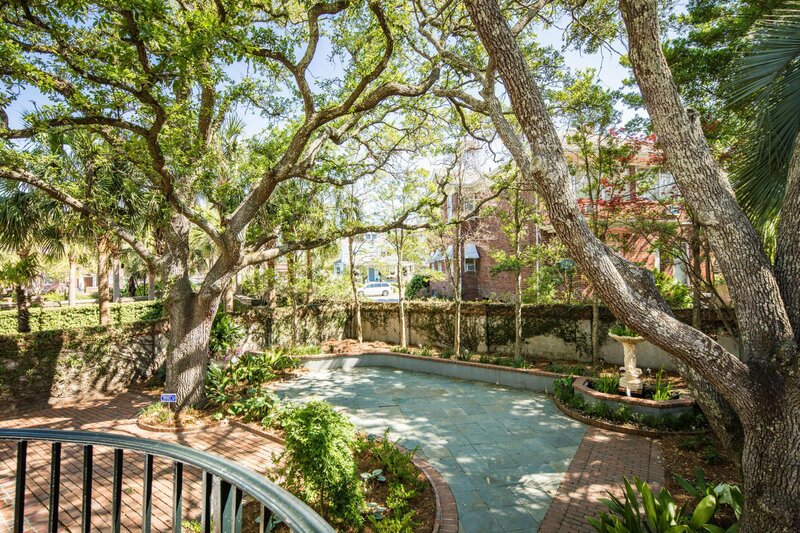 A covered piazza off the sunroom provides an inviting connection to the large private walled garden with grand oaks and beautifully planted beds. 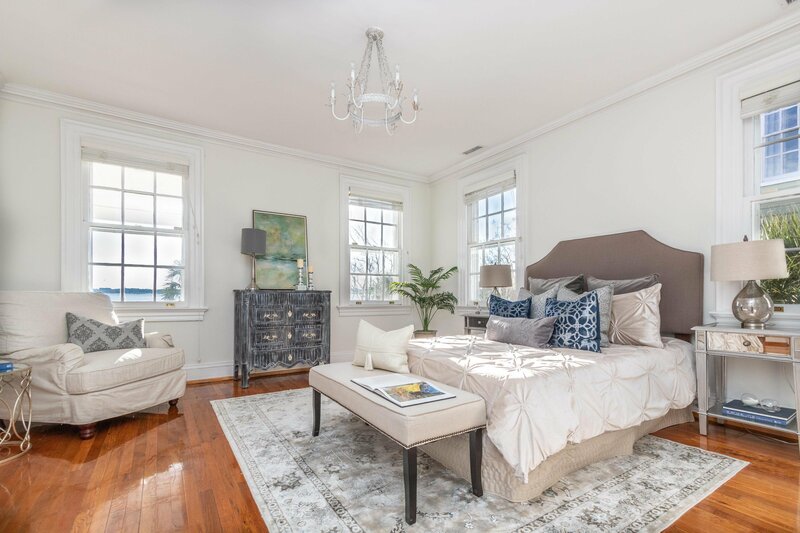 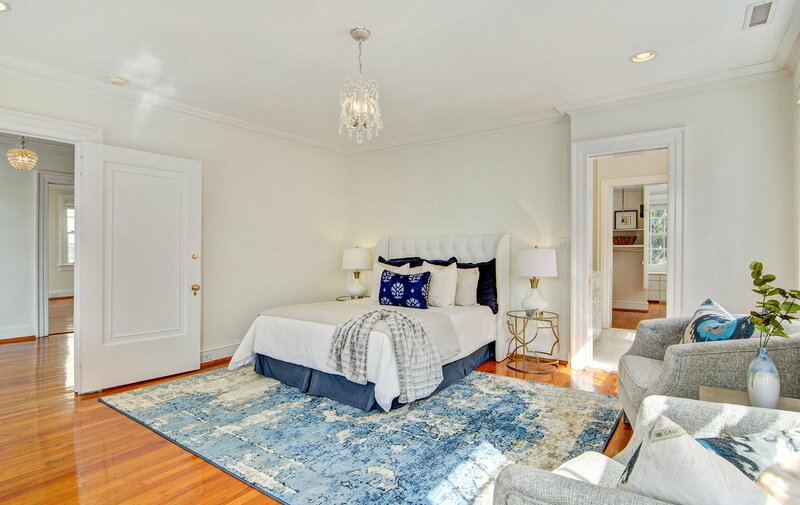 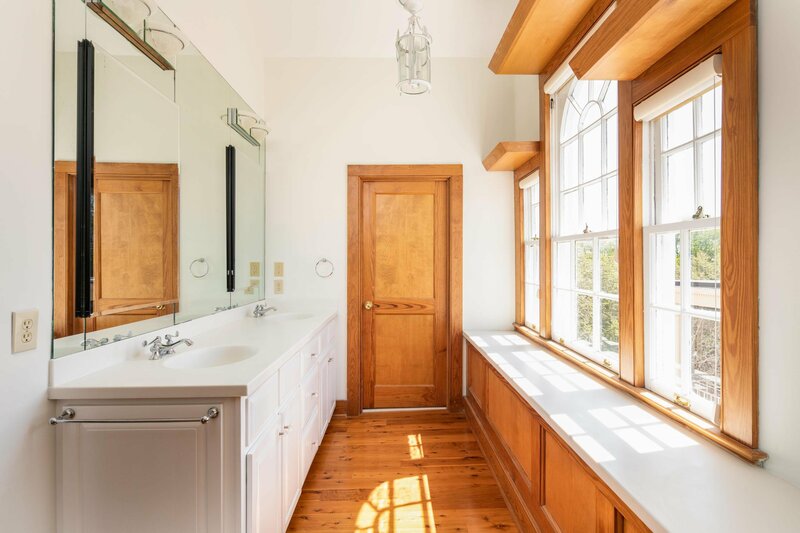 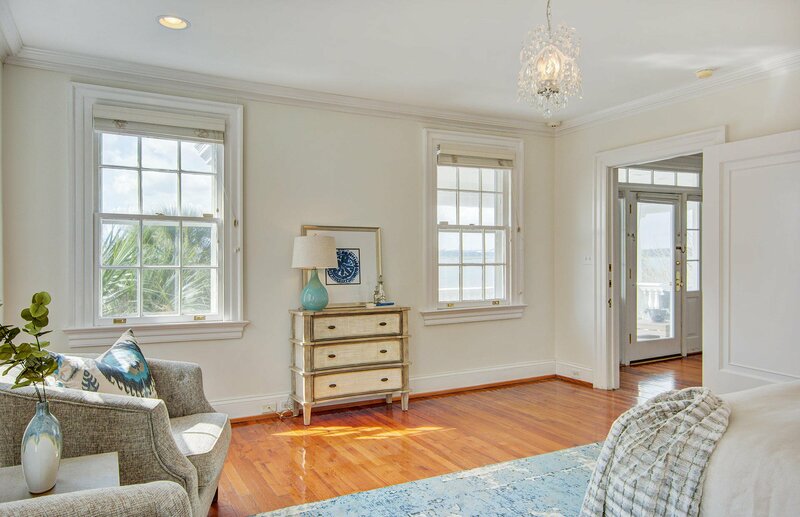 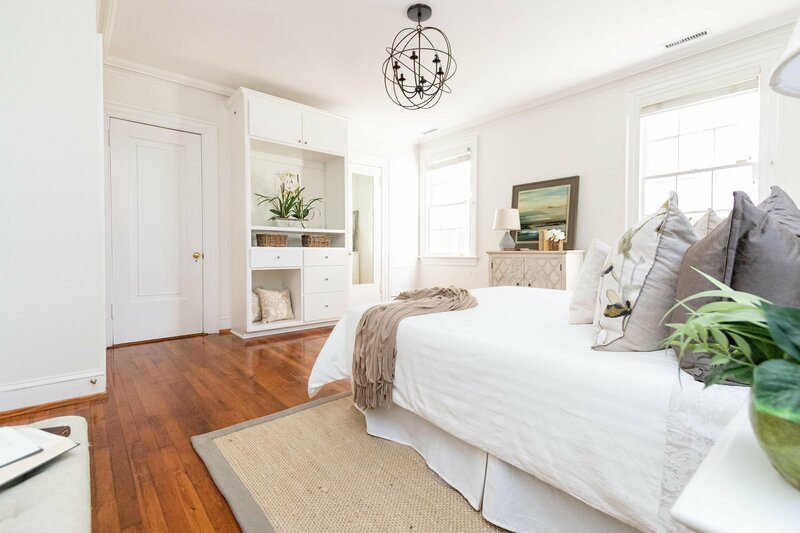 The master suite occupies half of the second floor, boasting views of the water from the bedroom, and a massive walk-in closet complete with numerous built-ins and dressing area. 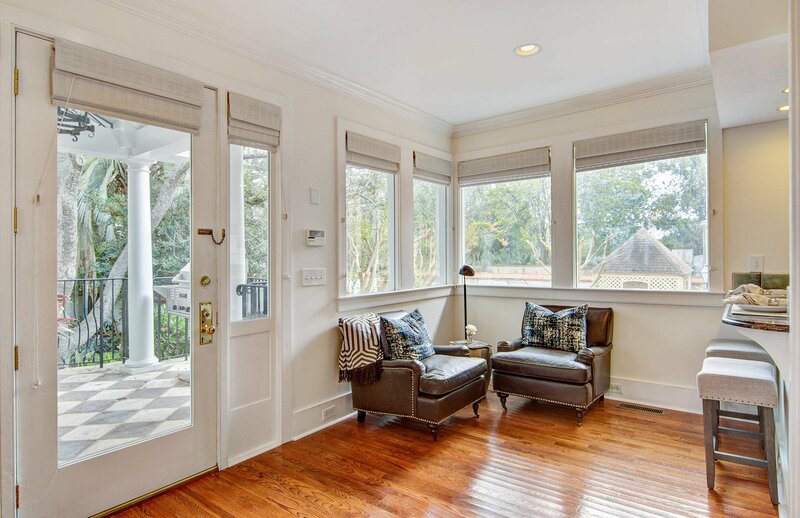 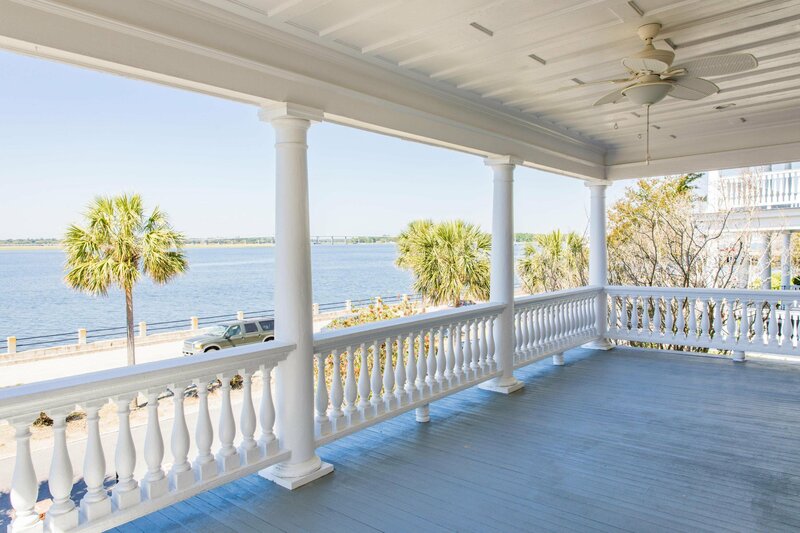 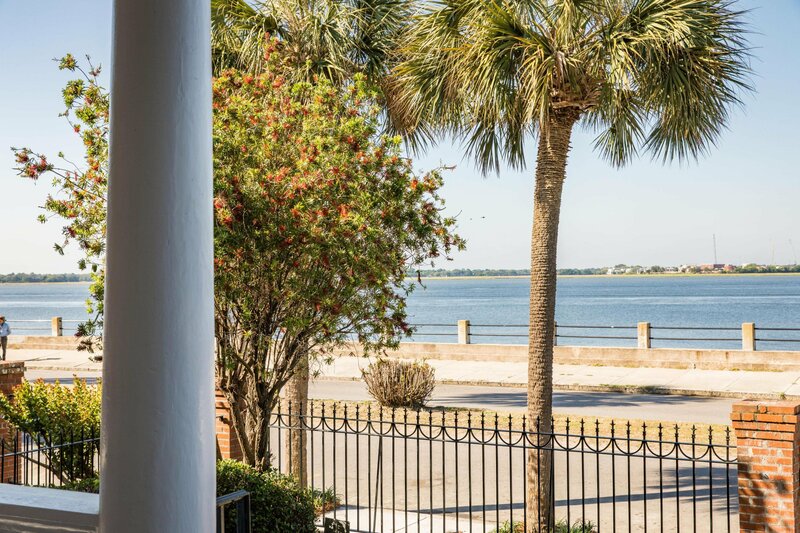 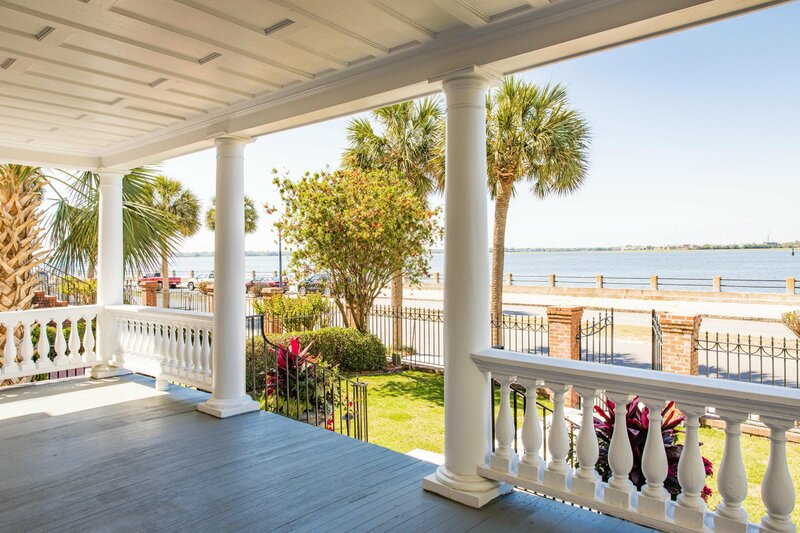 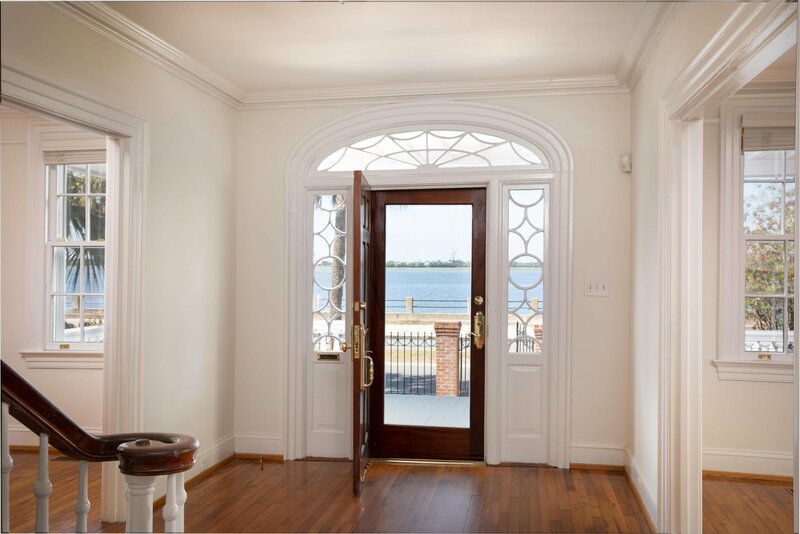 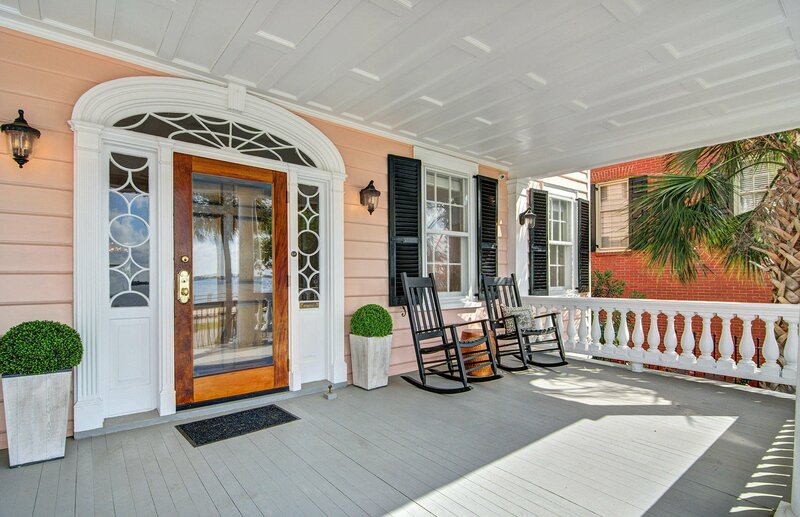 The upper hall provides access to the second floor porch, which is the perfect place to relax and enjoy harbor breezes. 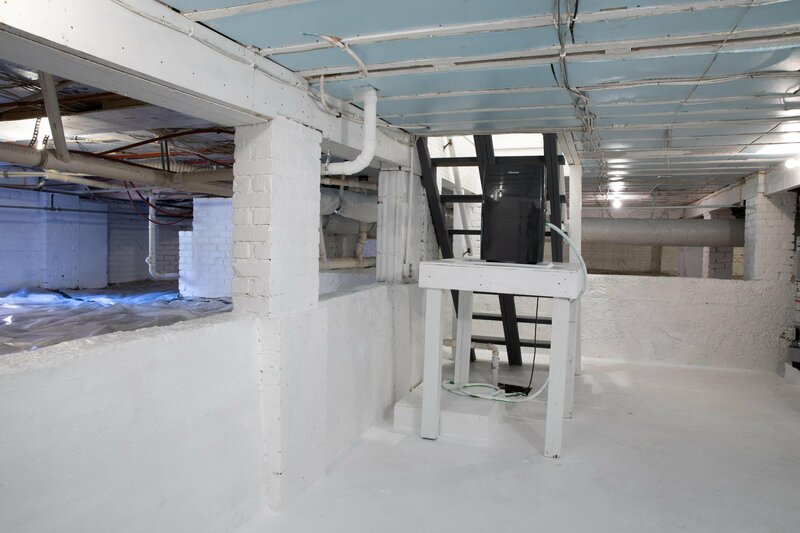 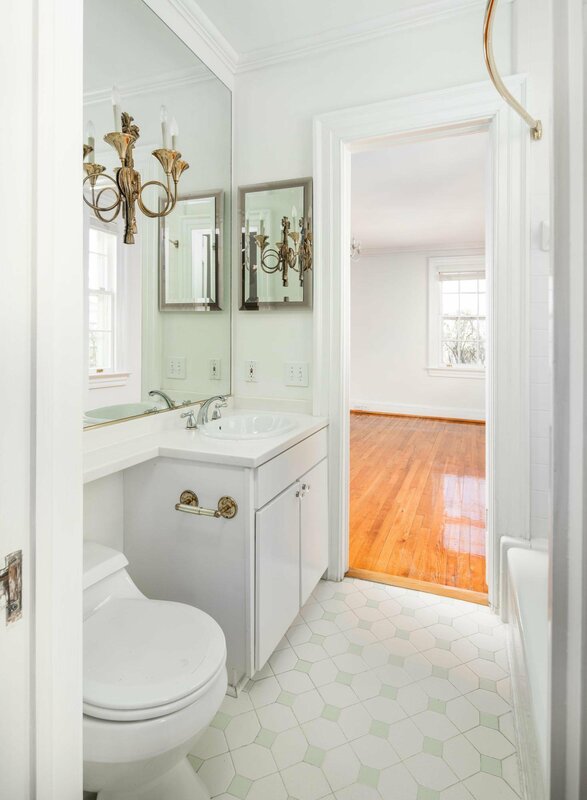 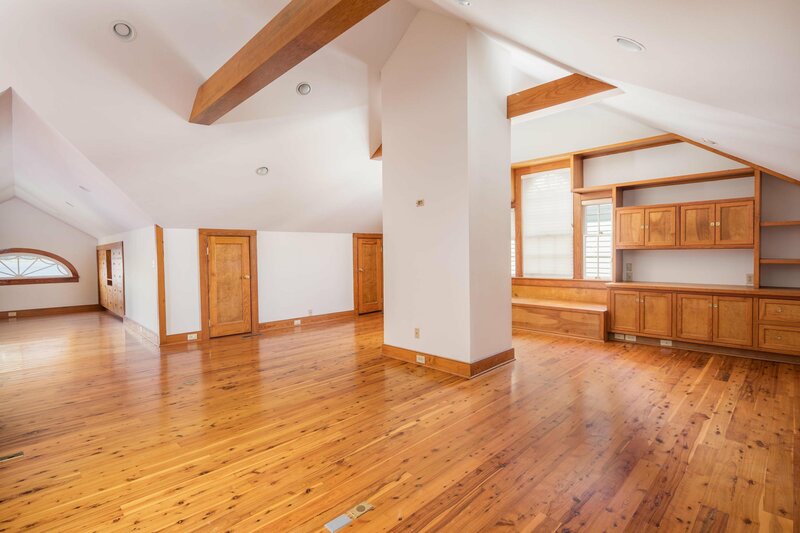 Two additional bedrooms and a full bath occupy the other half of the second floor. 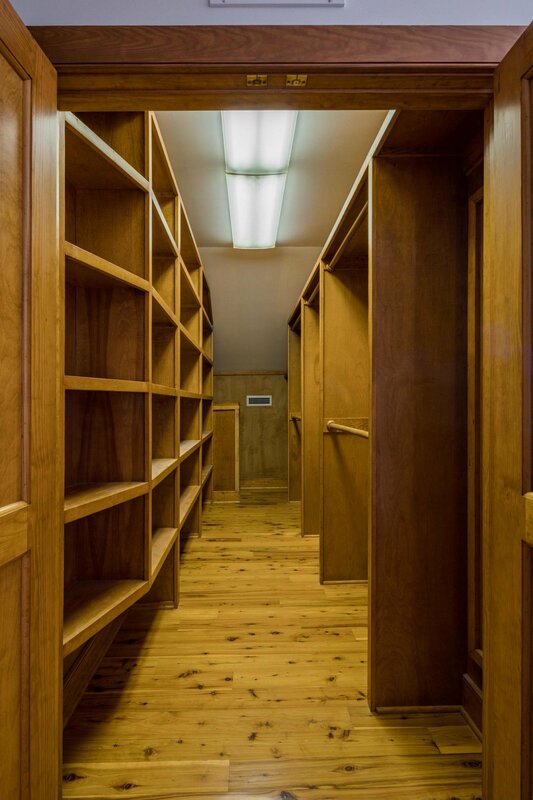 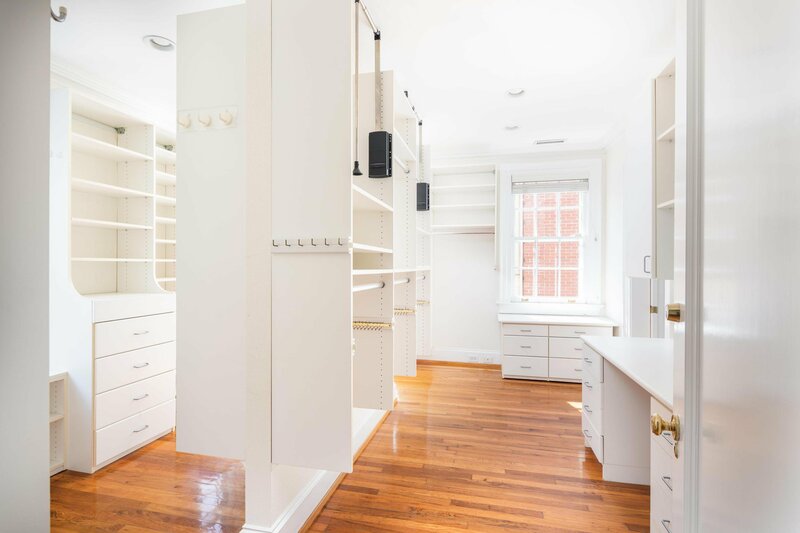 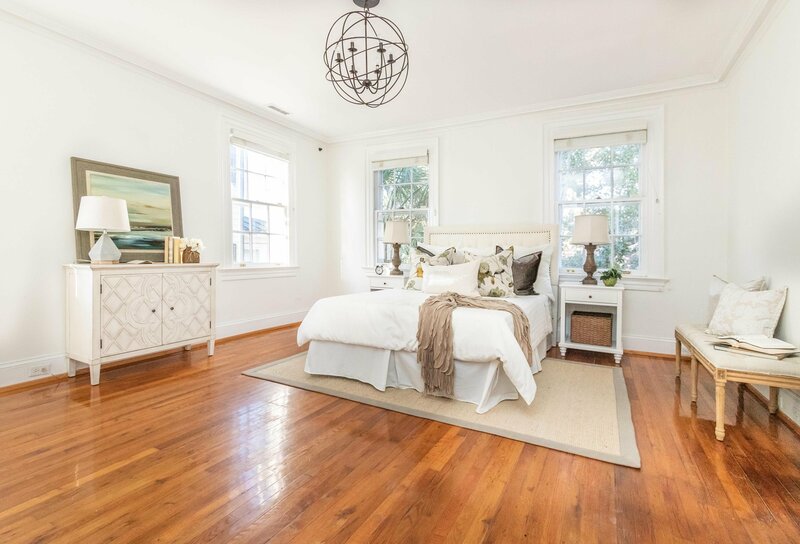 Beautifully finished with Australian cypress flooring, the third floor includes a full bath, bedroom space, bonus room, and enormous walk-in storage closet, and numerous other storage closets. 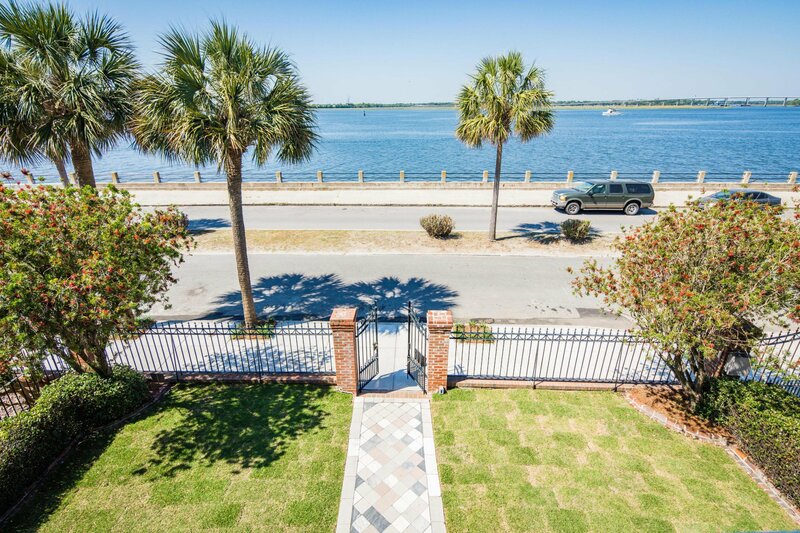 Large driveway with electronic gate provides easy off-street parking. 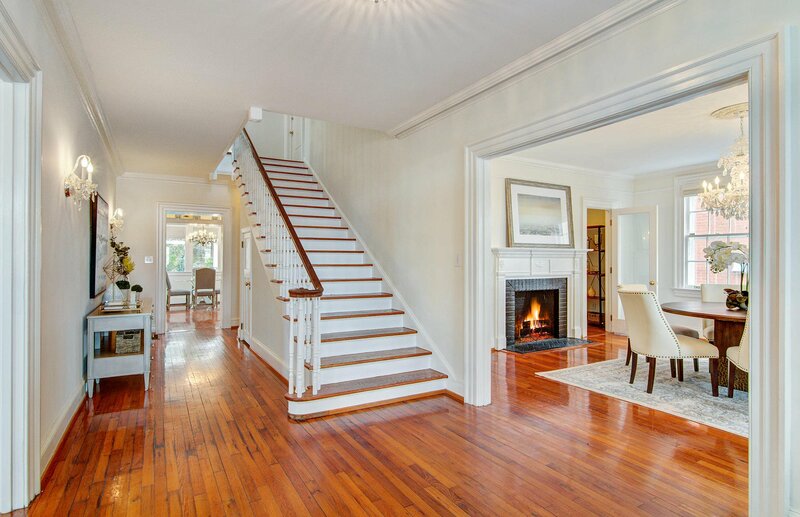 The house was completely renovated in 2002. 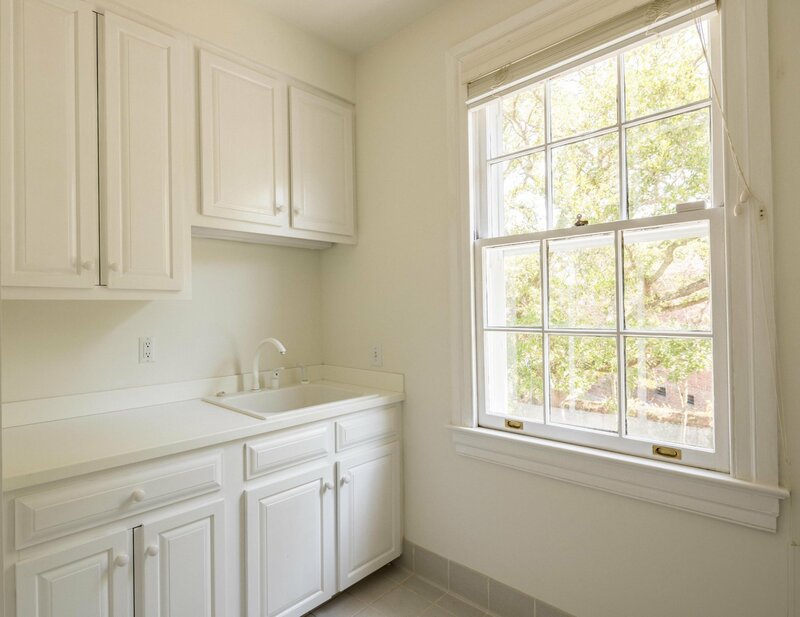 Recent improvements include: all new HVAC in 2017, new hot water heaters, fully painted inside and out in 2018, brand new Viking gas cooktop, and landscape upgrades. 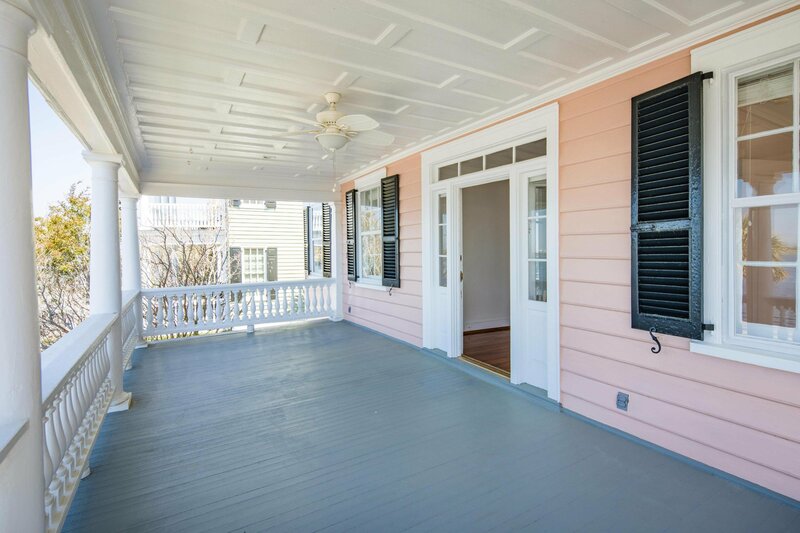 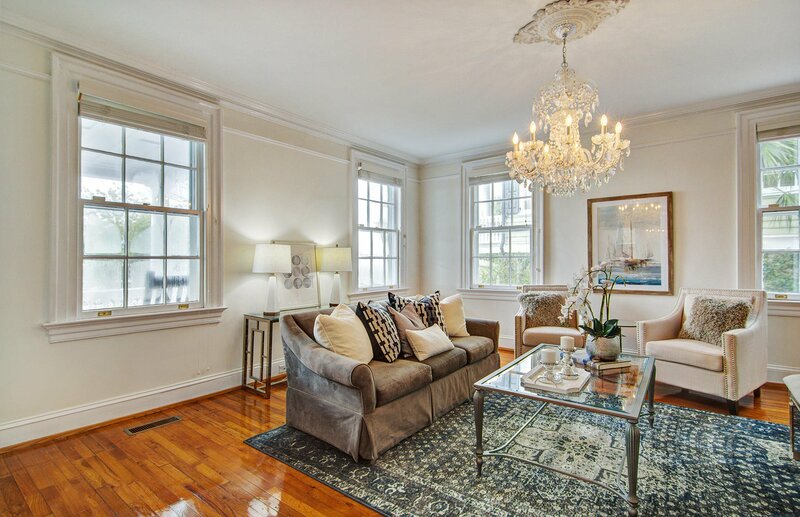 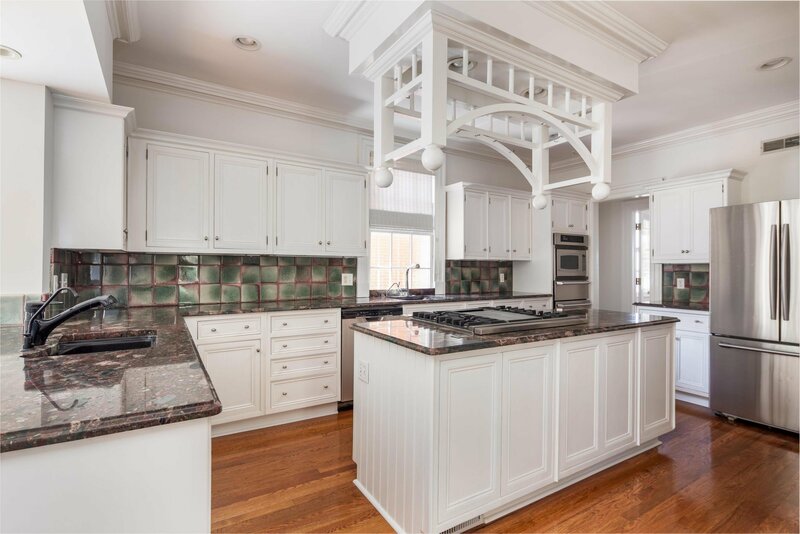 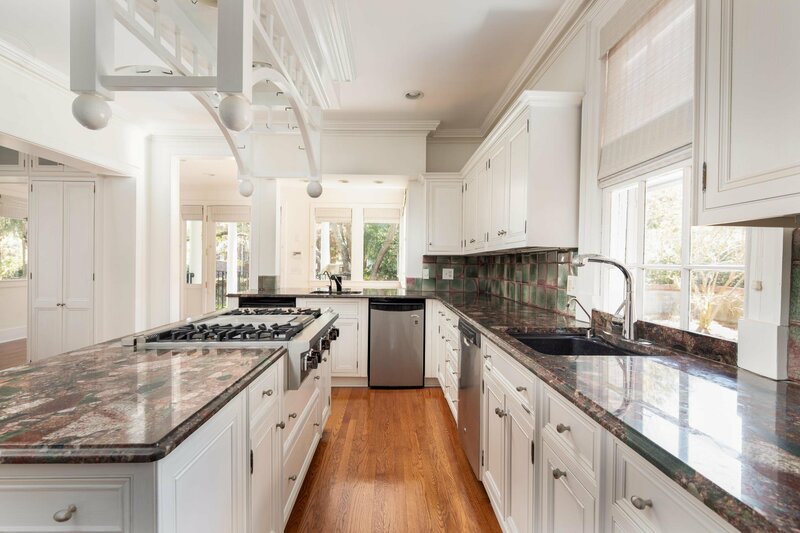 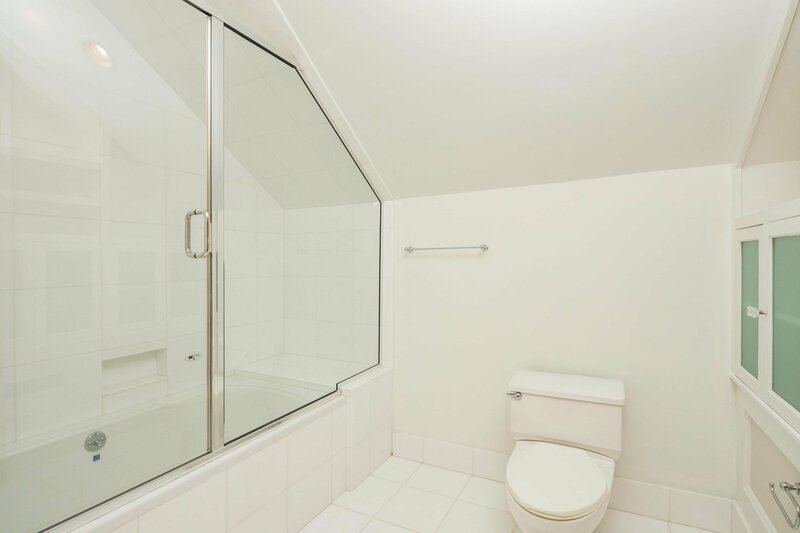 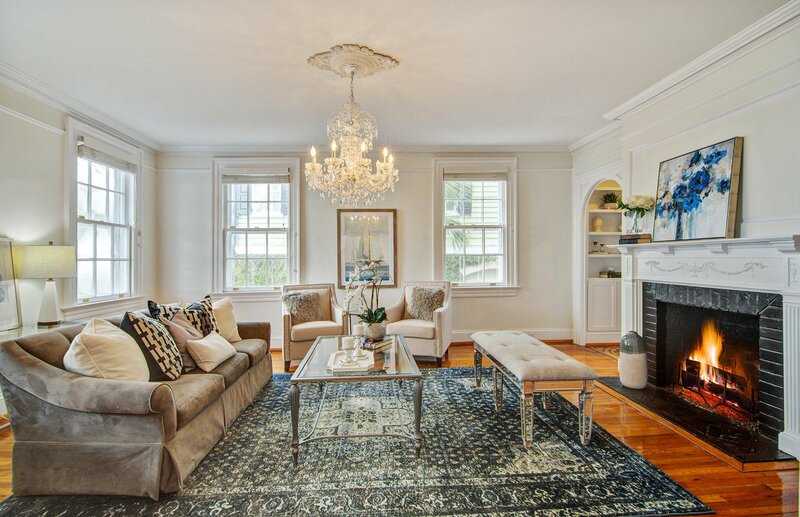 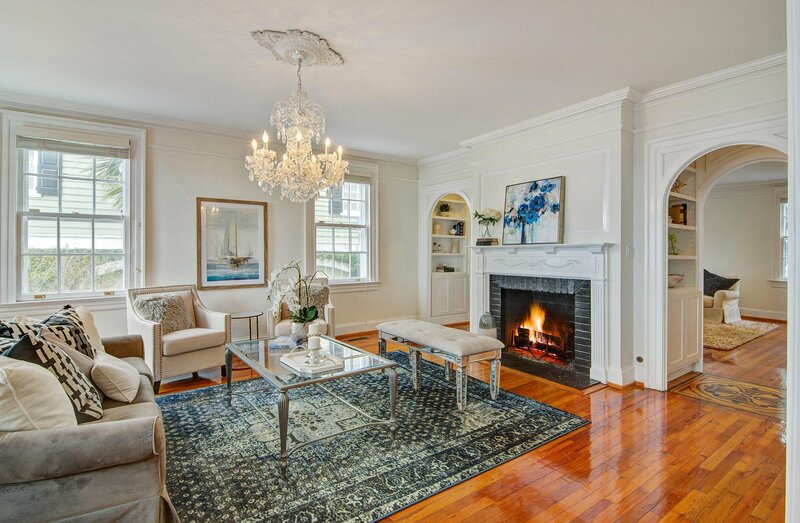 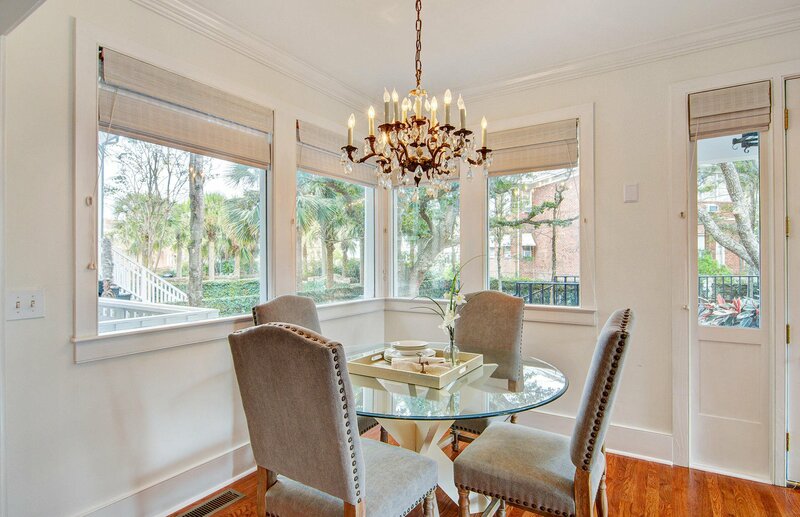 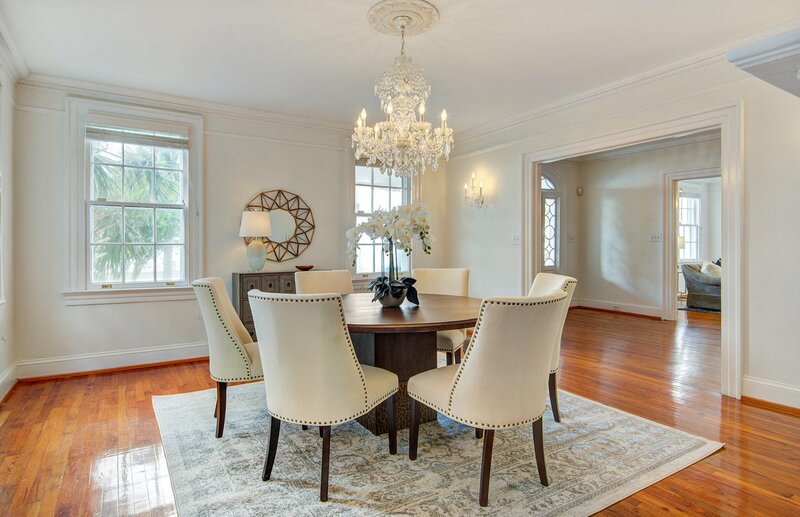 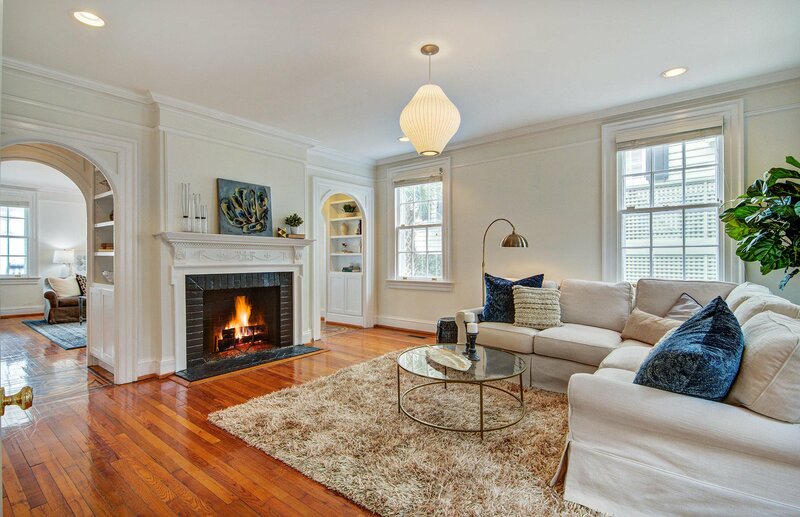 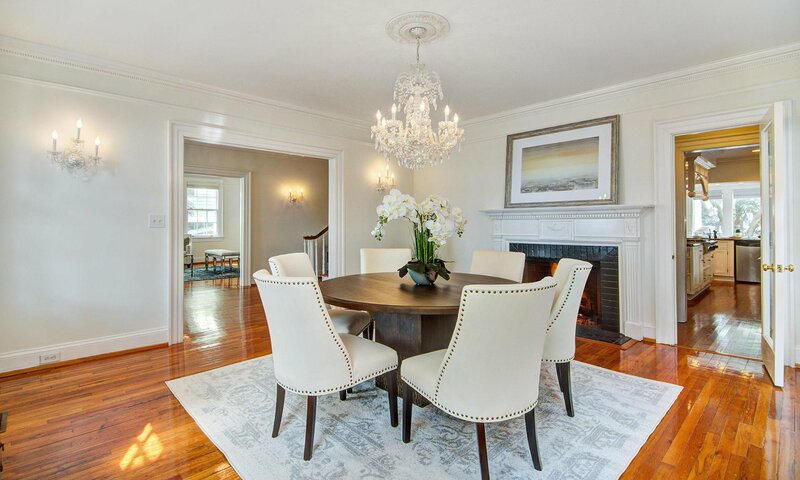 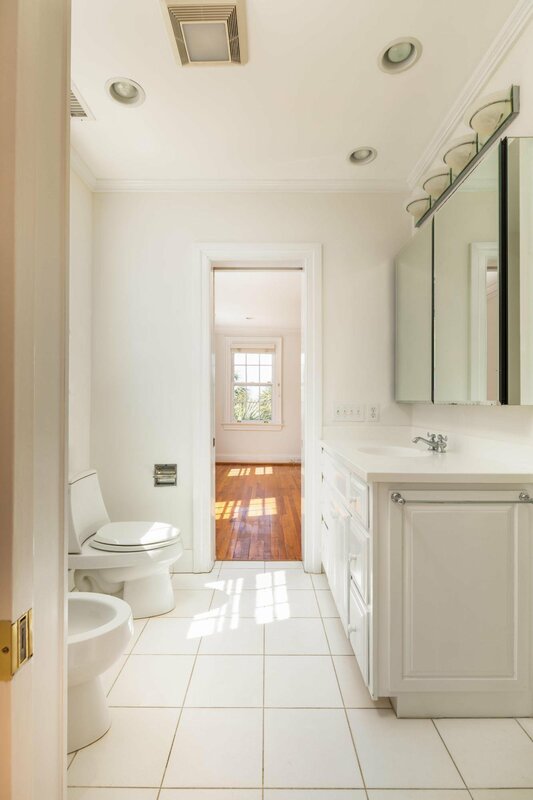 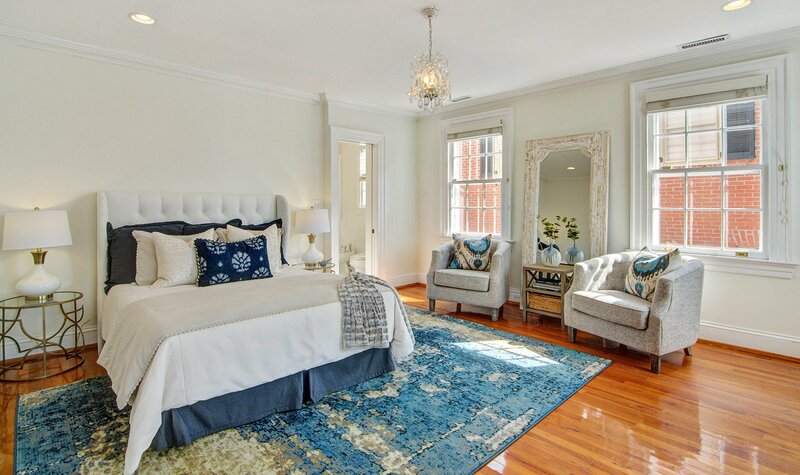 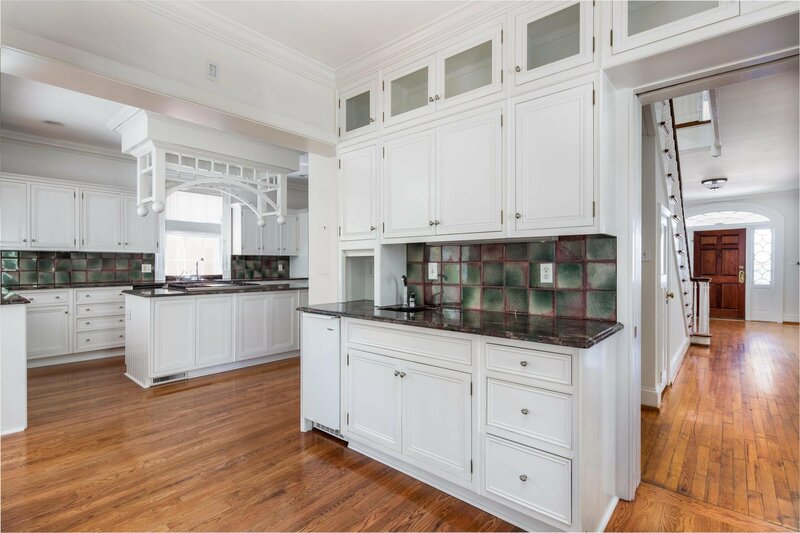 The owner has taken tremendous care to keep this house in immaculate condition! 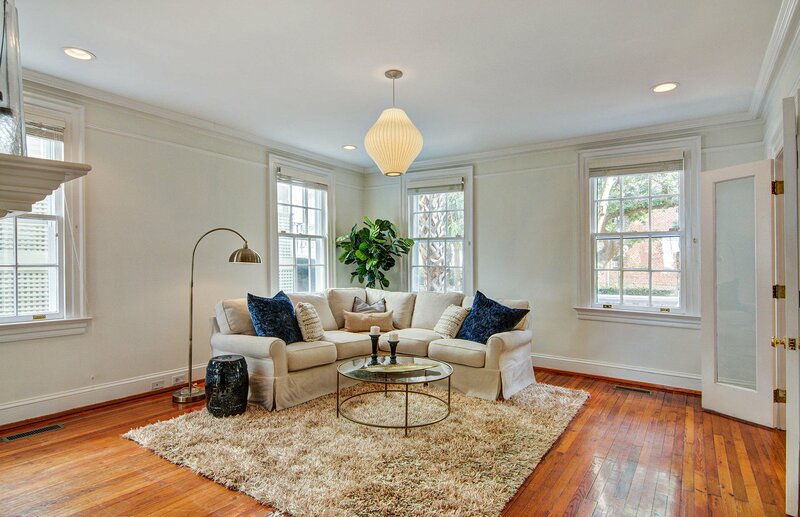 Completely turnkey and move-in ready.